Highland Associates provided architectural and engineering services for the additions and renovations to the 37-acre Toyota Sport Complex at Coal Street Park. The Park was in a state of disrepair. Highland’s main challenge was to see if the existing building that was designed and built in the 1970s could accommodate the latest in hockey play and performance. 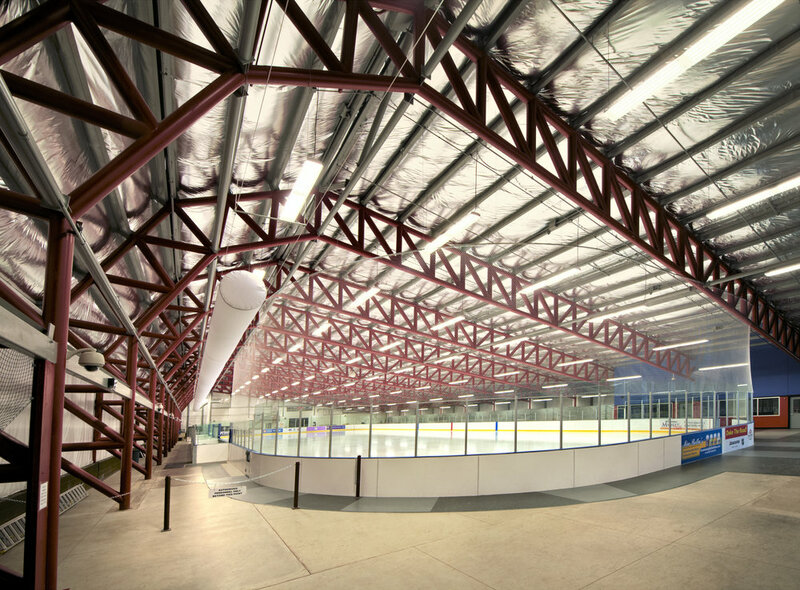 Several studies were completed to understand whether a single sheet of ice or multiple sheets of ice would be needed and how to integrate the existing structure into new structures that were needed to supplement space that was missing from the existing facility. After looking at several alternatives for the site, the eventual solution was to revitalize the existing ice skating facility and add sufficient square footage to accommodate a professional hockey team’s locker and training facility and the public’s needs for lockers, showers, pro shop, and dining. It was determined due to cost that the best solution was to use a pre-engineered structure and integrate it into the current block structure. A main spine was designed into the plan which forms a construction separation between the two facilities and made it easier for the adjacent 2-story pre-engineered facility to be constructed. Integrating metal panel into the solution helped with the weight of the building since the site posed some problems with regard to subsurface conditions.